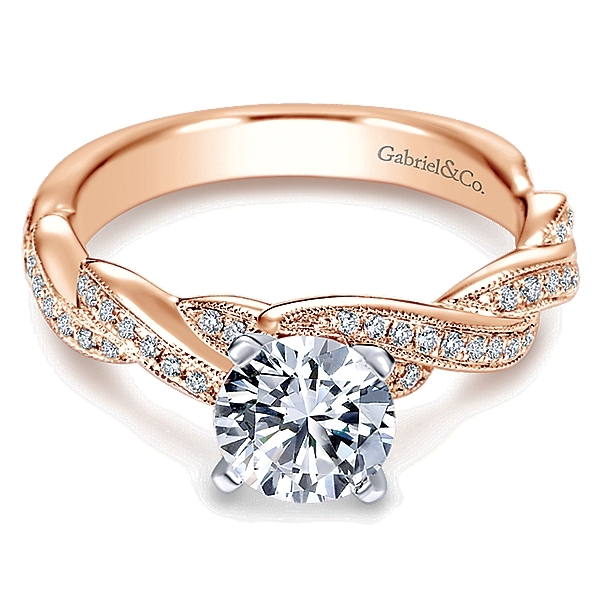 This Gabriel&Co. 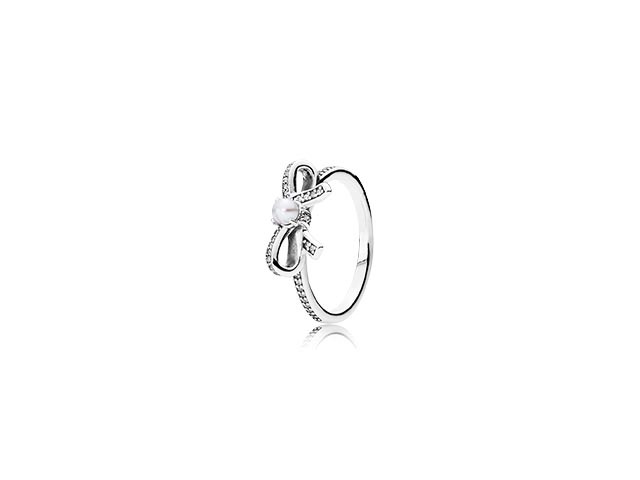 ring is a great option whether you are going out with friends or just the quick trip to the mall. 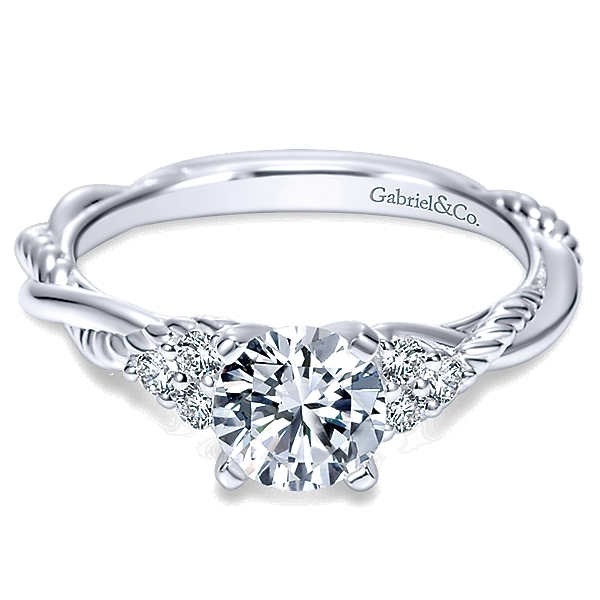 Each braid in this intricately detailed engagement ring is skillfully handcrafted with a modern touch while stunning side stones gently embrace your center stone. 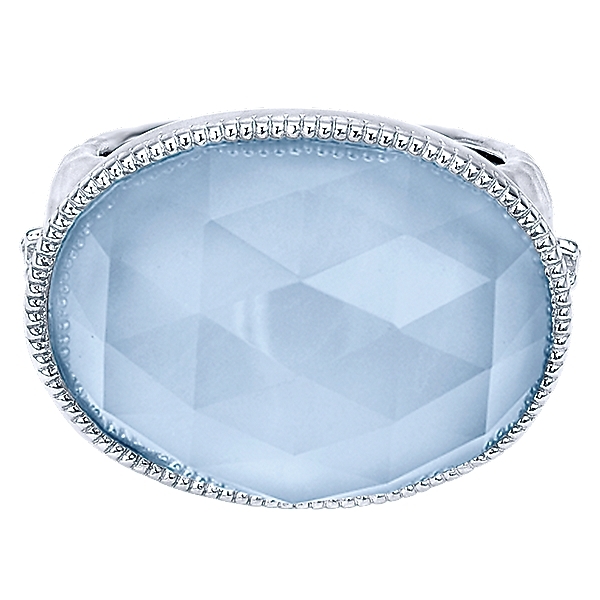 * Center stone not included. 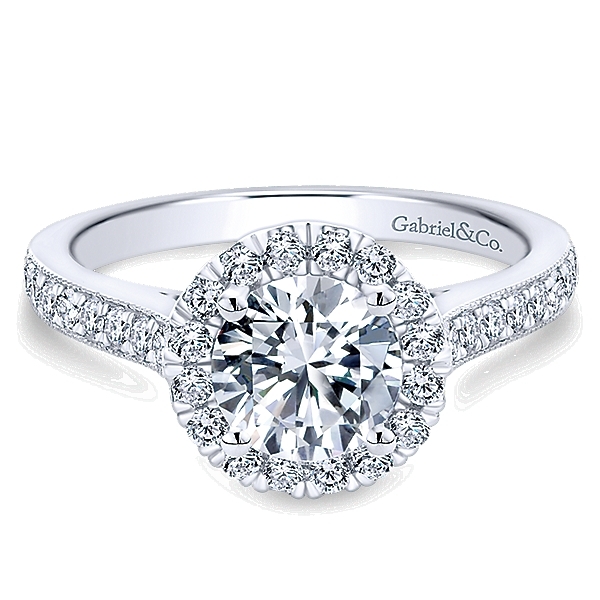 This Gabriel & Co. er5887 engagement ring is part of the contemporary collection and offers a slot for a center stone of 6.5mm – 1ct. 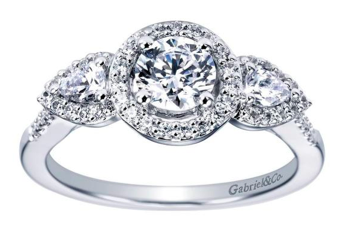 The ever so timeless Gabriel & Co style er8152 contemporary engagement ring is embellished with our brightest diamonds that encircles your center stone with our gorgeous halo. 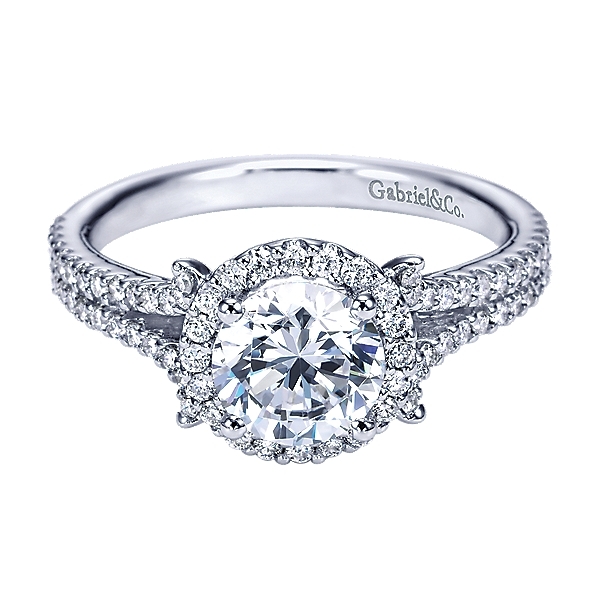 * Center stone not included. 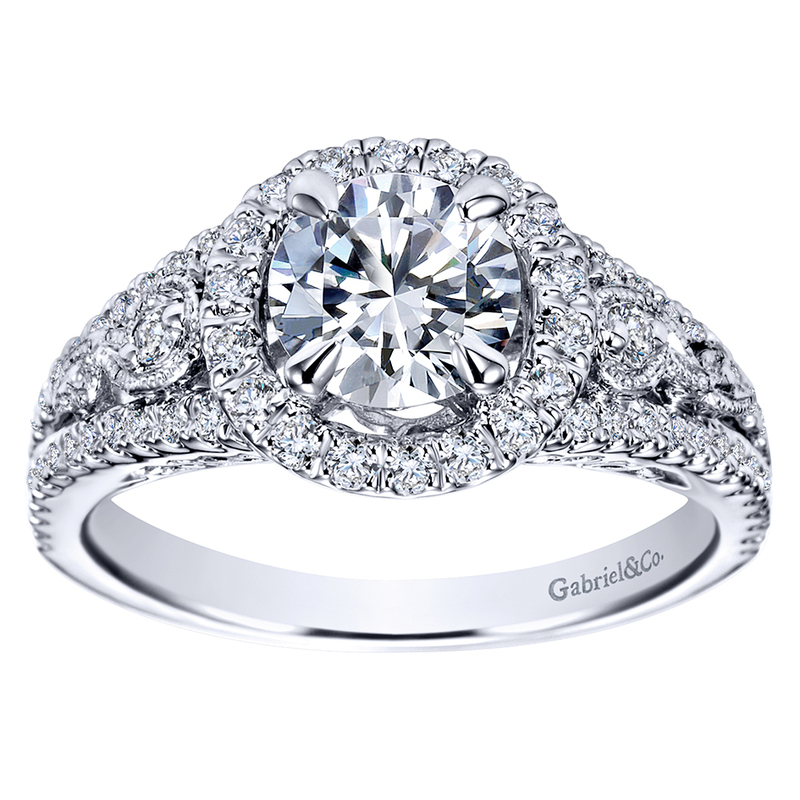 14k White Gold Diamond Halo Engagement Ring | Gabriel&Co. 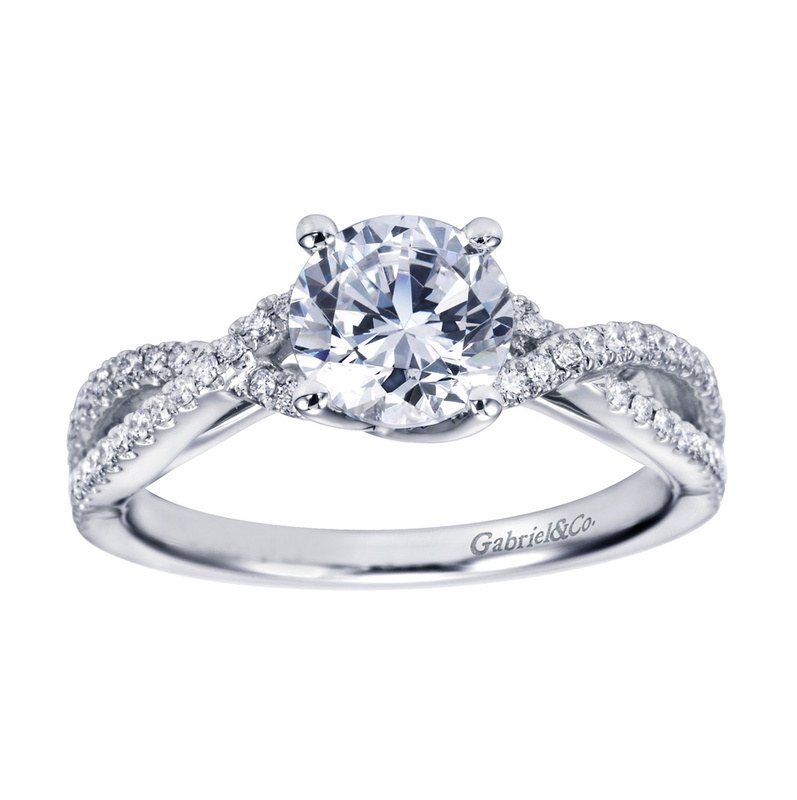 This style ER7276 Gabriel & Co Engagement ring is from the contemporary collection with beautiful diamonds throughout. 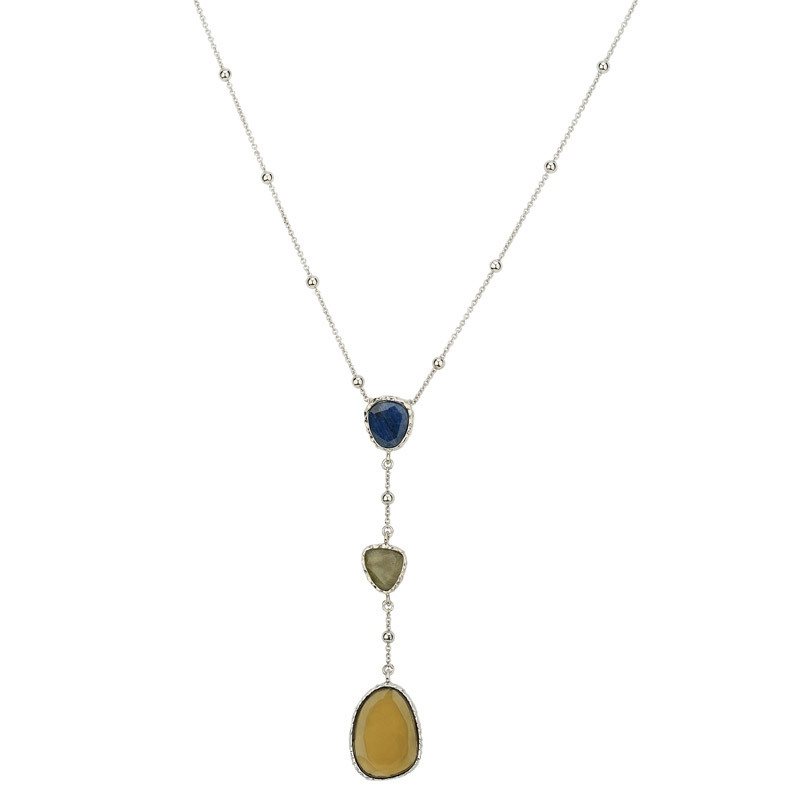 *Center Stone Not Included. 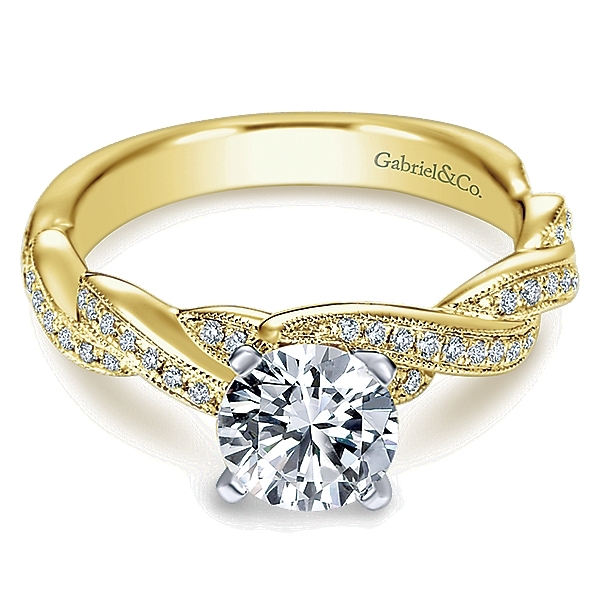 This beautiful Gabriel & Co. engagement ring is a part of the contemporary collection. 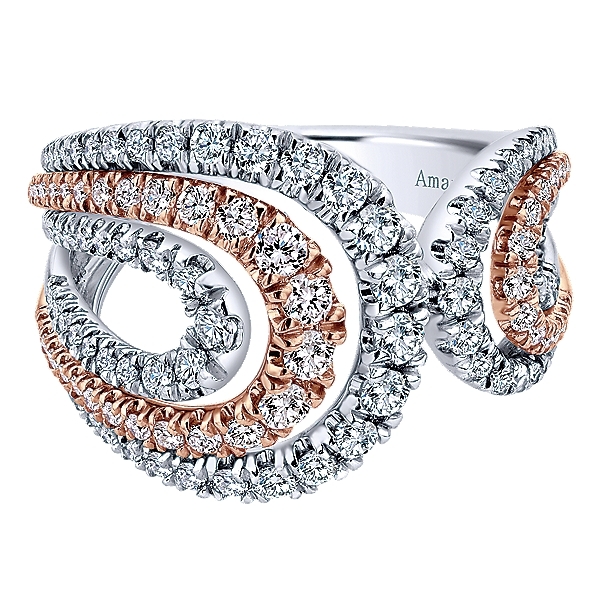 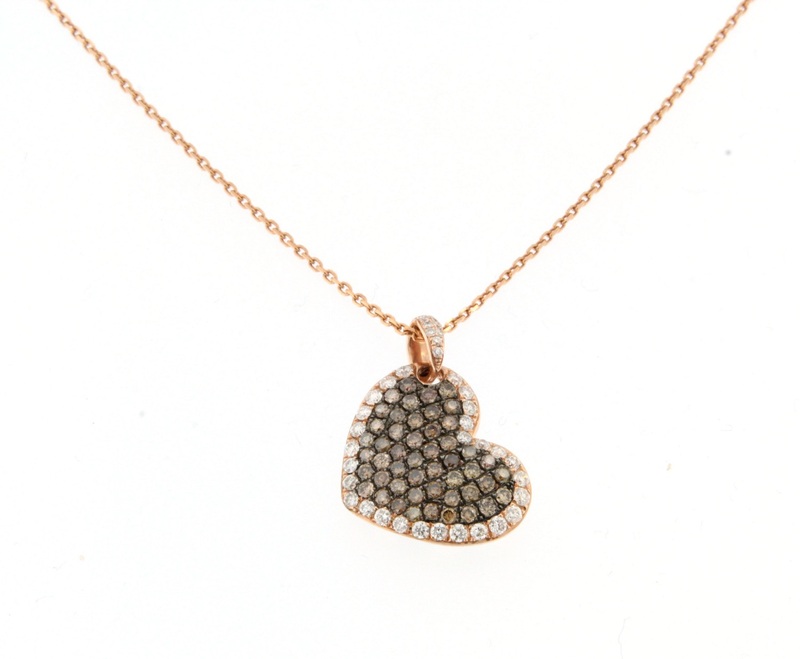 The center stone is not included but can be fitted with a 8mm – 2ct stone. 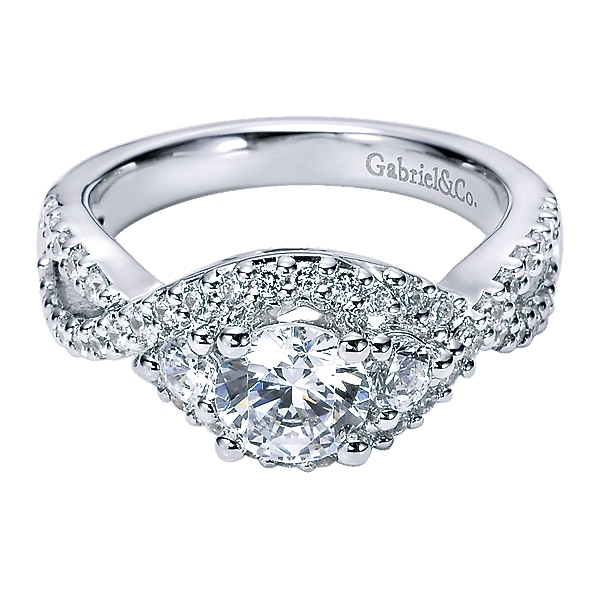 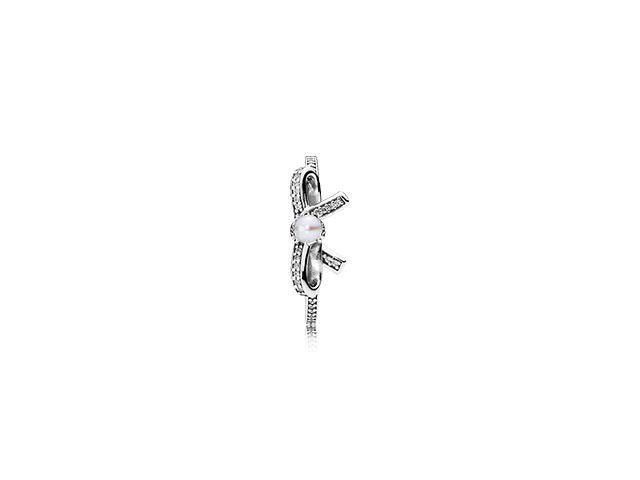 14k White Gold Diamond Straight | Gabriel&Co. 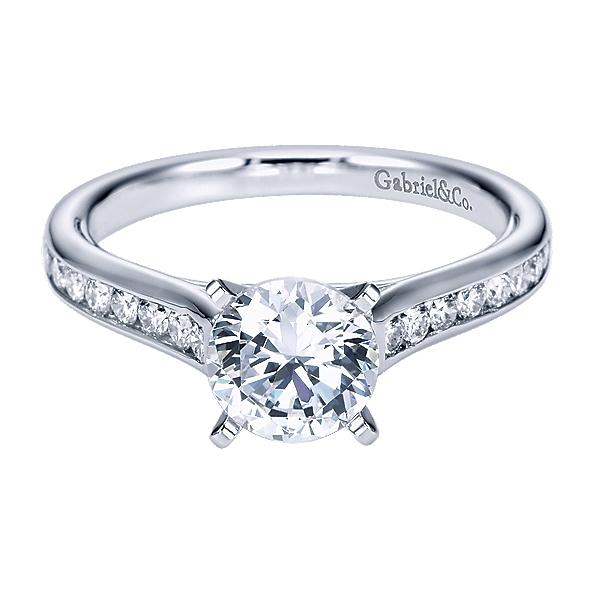 Channel set diamonds embellish the top half of this elegant white gold band, topped off by a four prong setting for your choice of center stone. 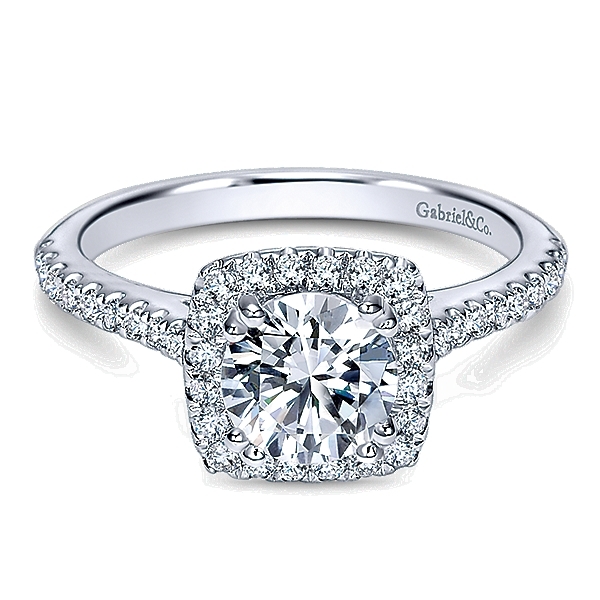 * Center stone not included. 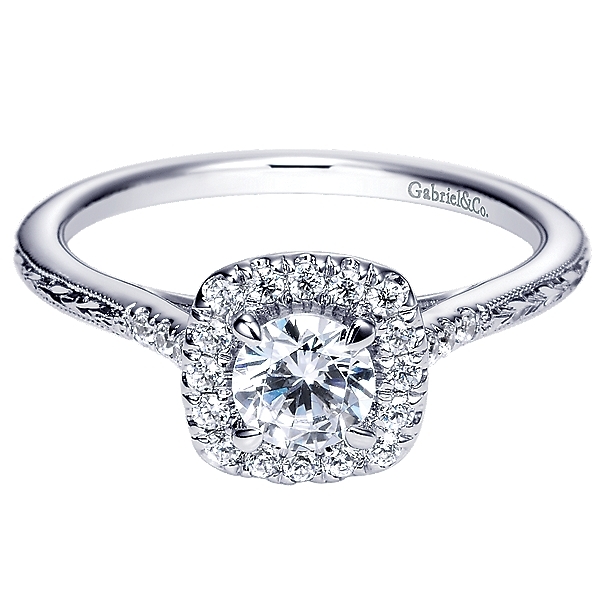 14k White Gold Round Diamond Halo With Channel Setting | Gabriel&Co. 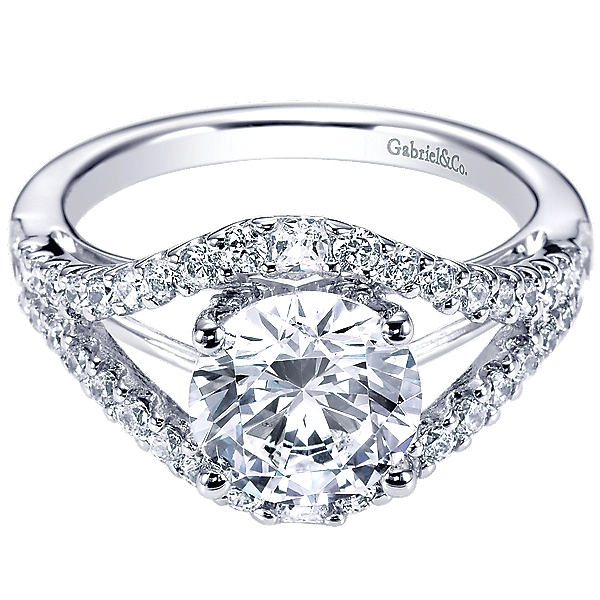 Gabriel&Co luxurious halo gracefully encircles the round cut engagement ring, while a tunnel of diamonds lace each side of the band to produce this lavish ring. 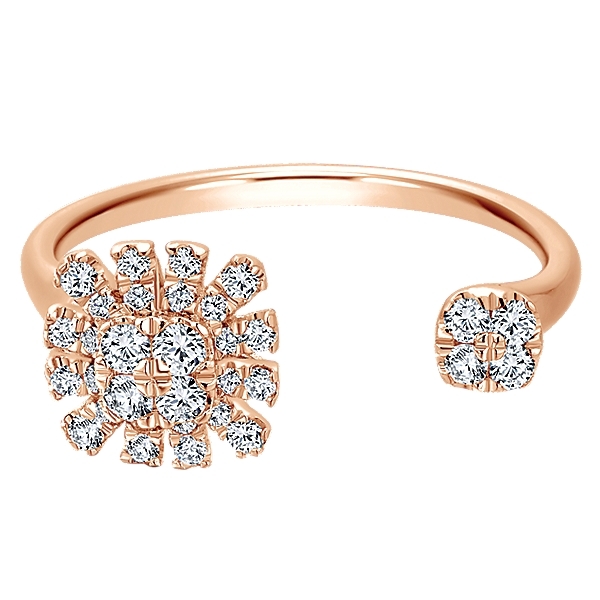 * Center stone not included. 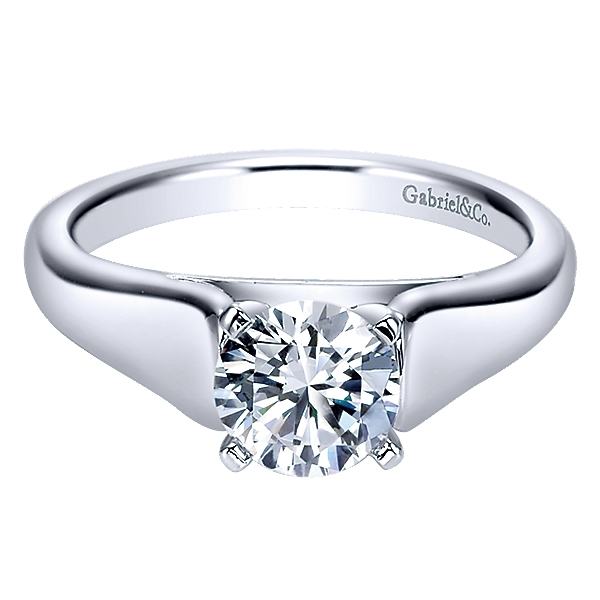 The Gabriel & Co er5375 is a classy pave set engagement ring with beautiful diamonds that can be fitted with a stone with or 6.25mm. 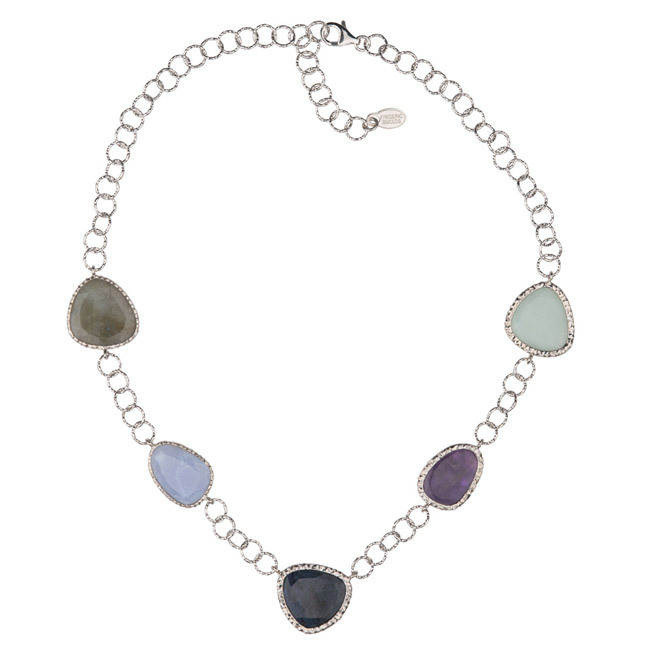 This beautiful Frederic Duclos silver necklace combines amethyst, blue lace agate, labradorite, and aventurine to make for a one of a kind piece! 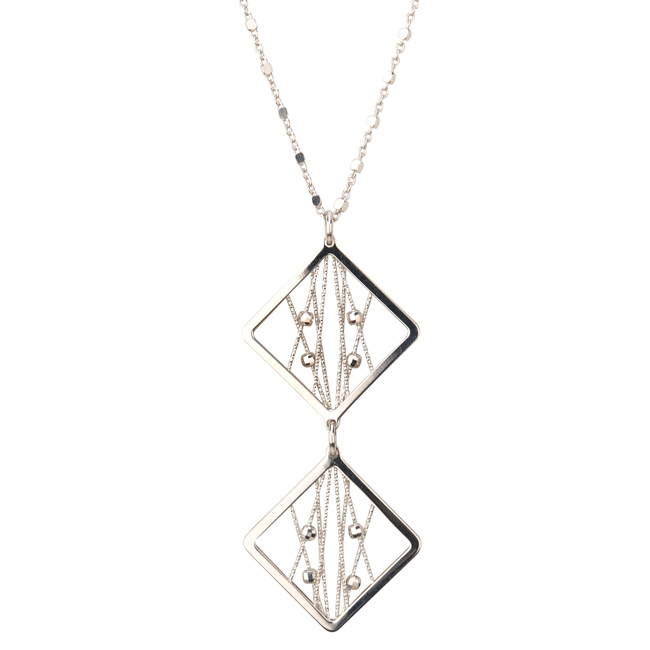 The ne806 silver necklace from the new Frederic Duclos collection is a wonderful piece of contemporary jewelry which is sure to leave your friends in envy! 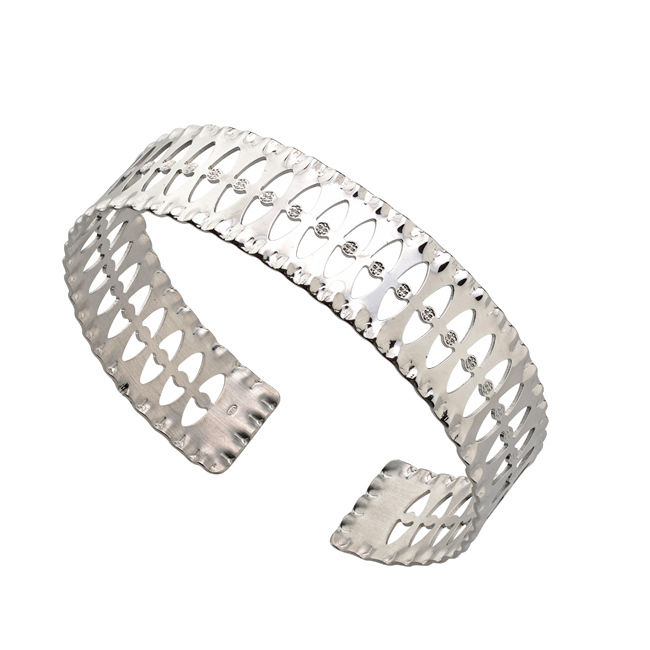 The Frederic Duclos br600 bracelet is 100% sterling silver. 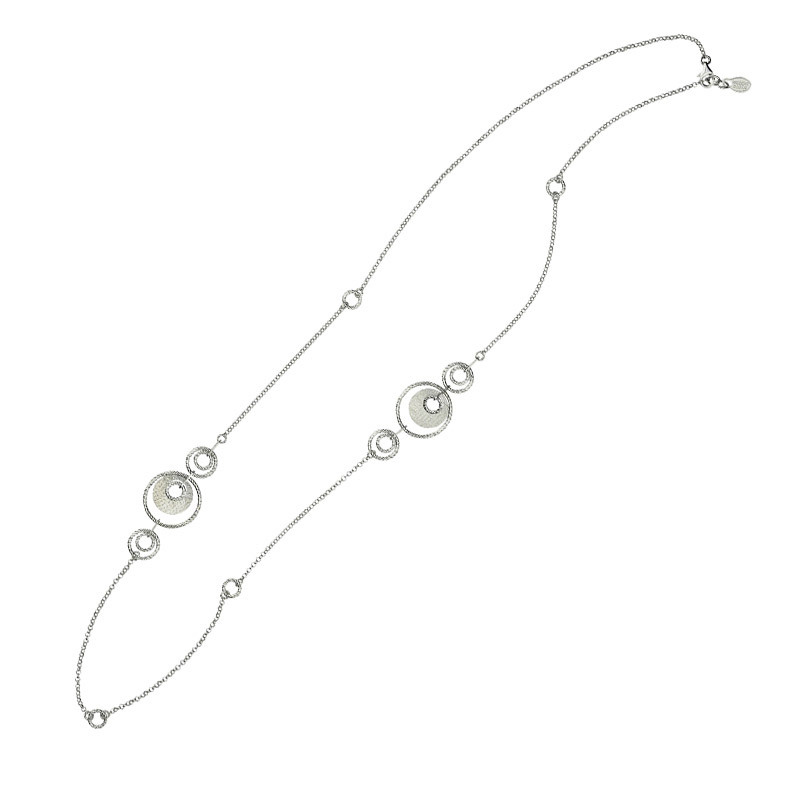 Complete your look with a bracelet that offers modern class and sophistication to your wrist! 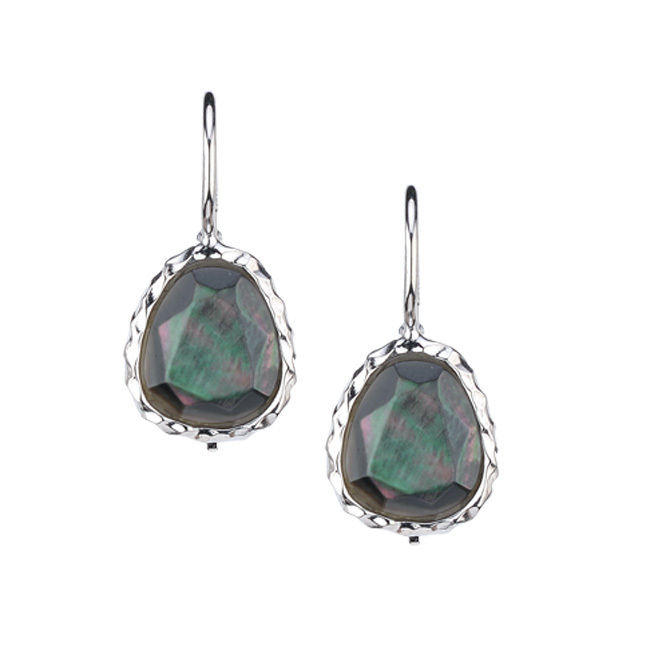 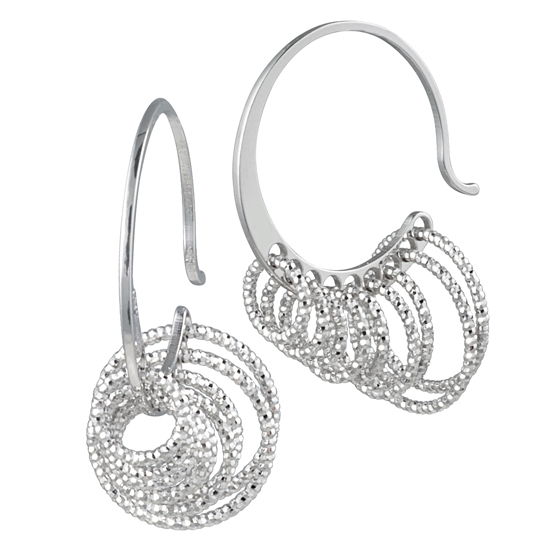 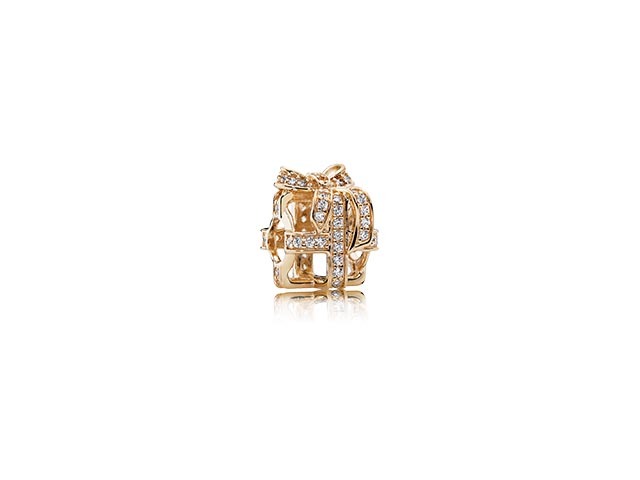 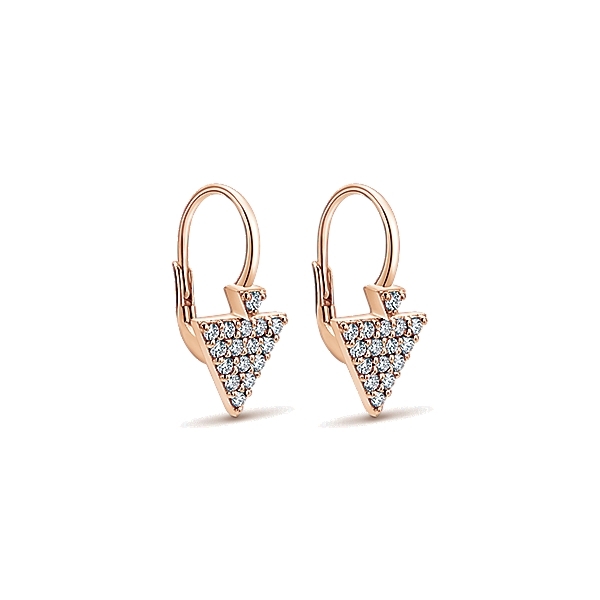 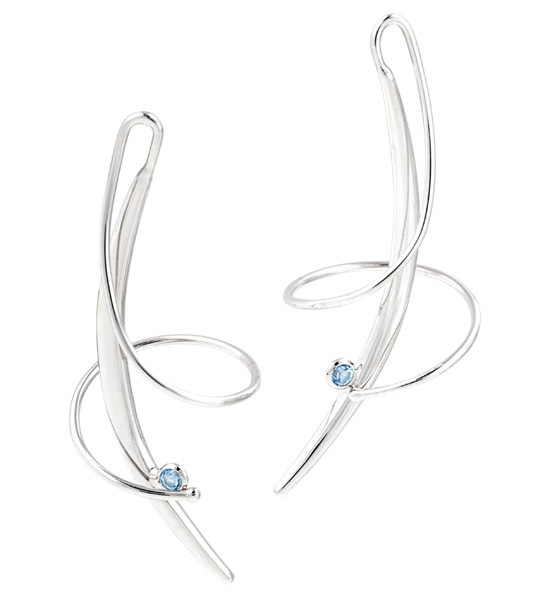 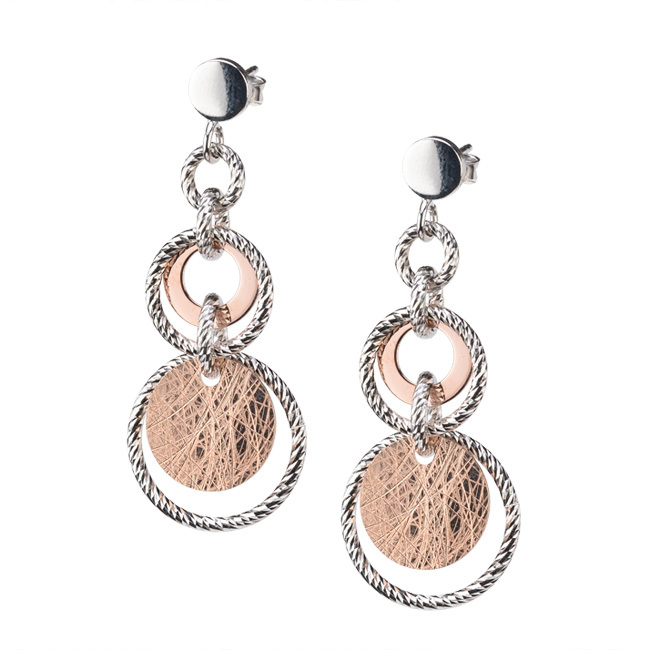 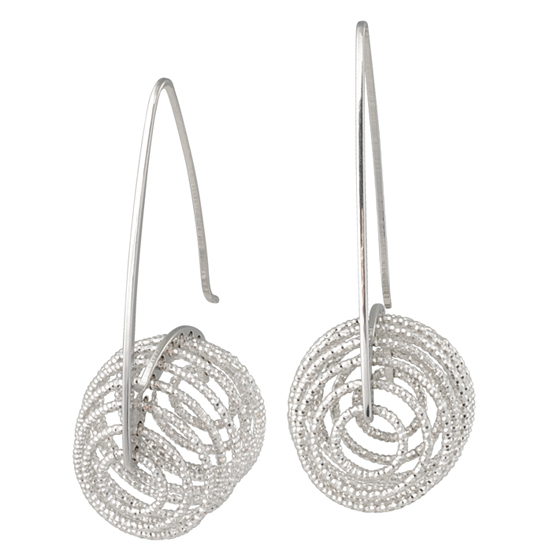 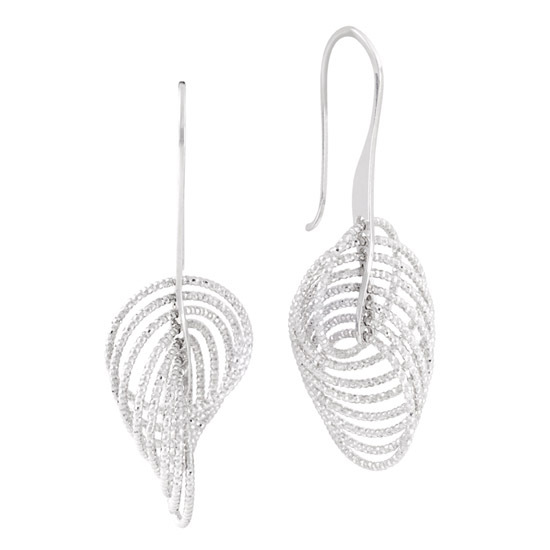 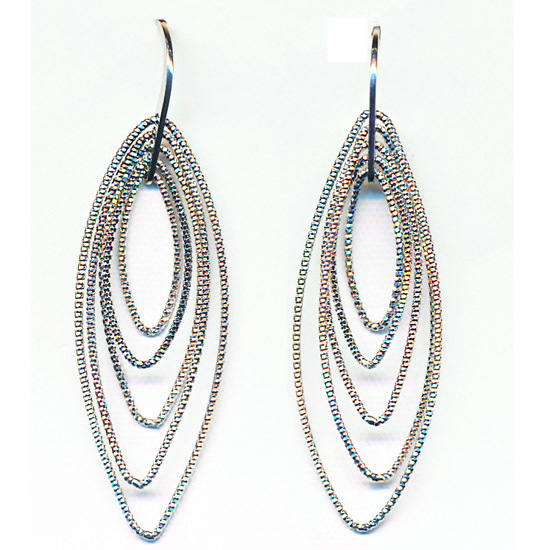 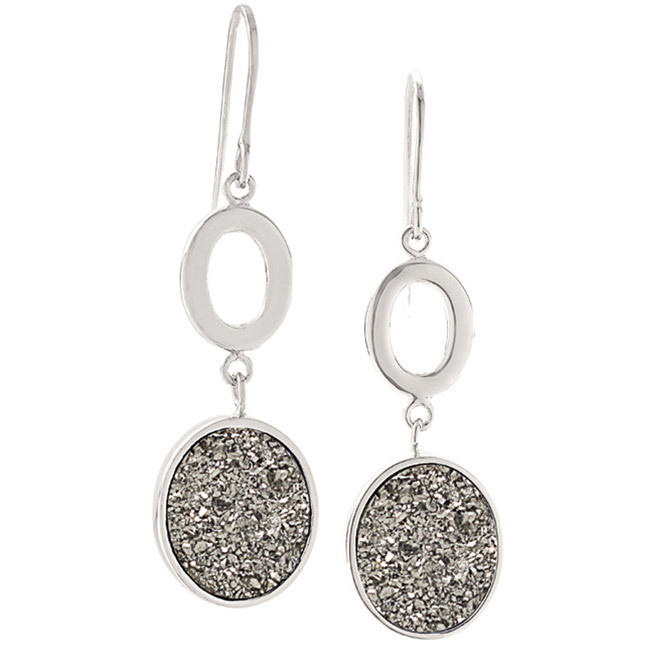 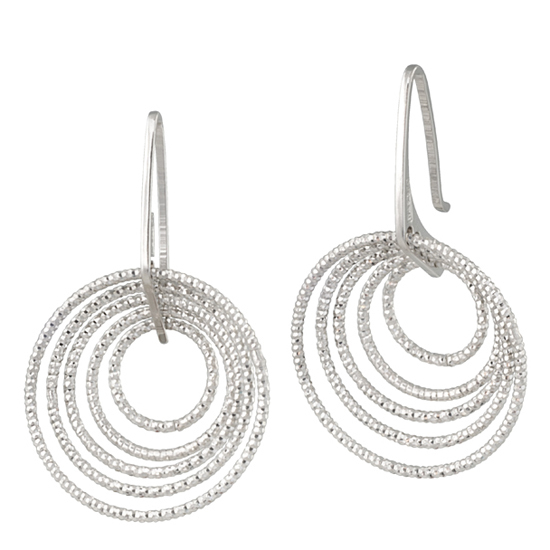 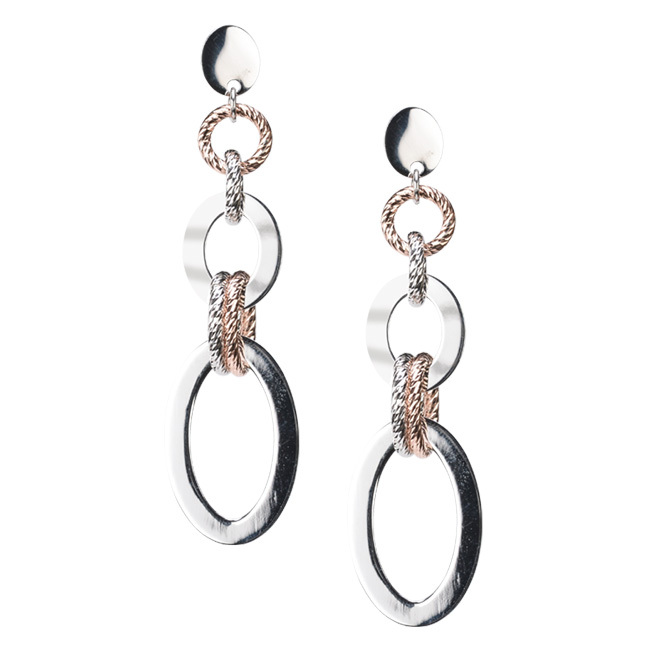 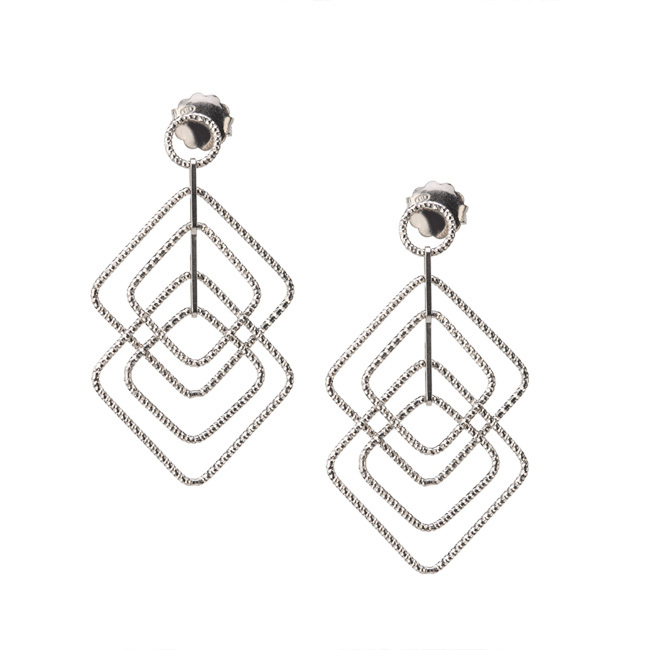 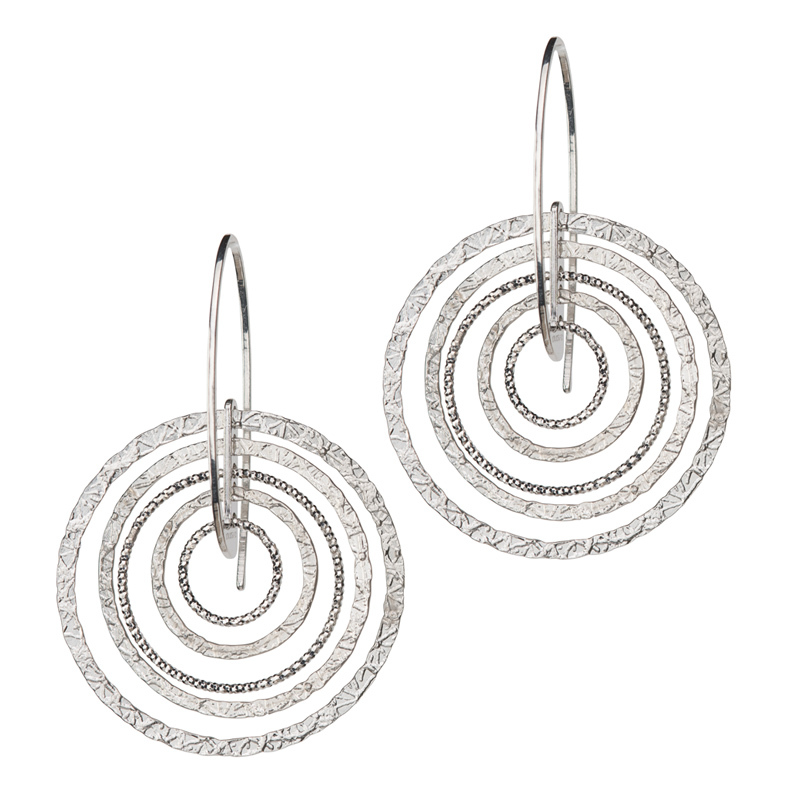 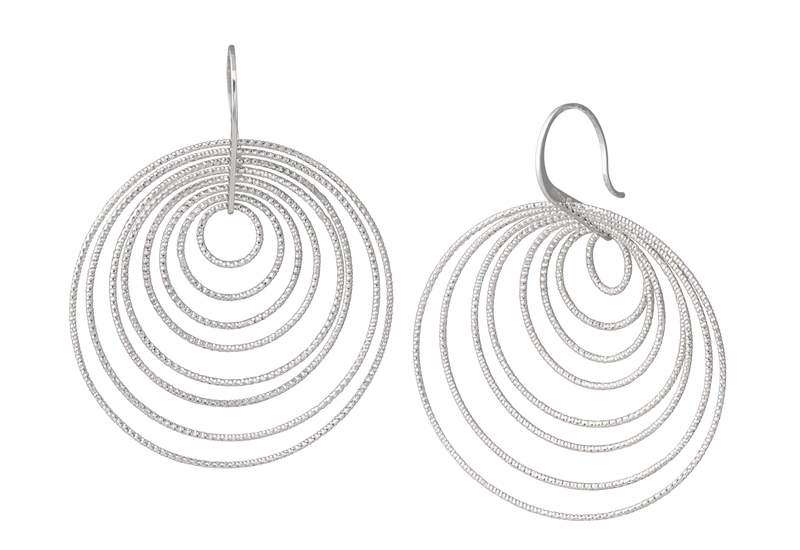 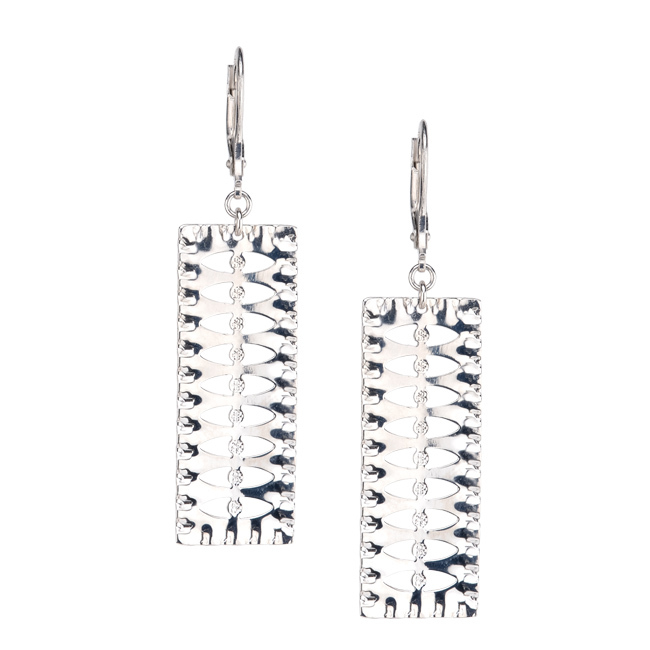 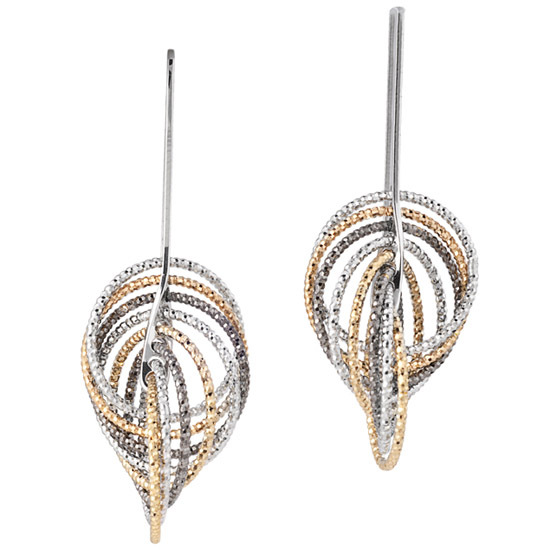 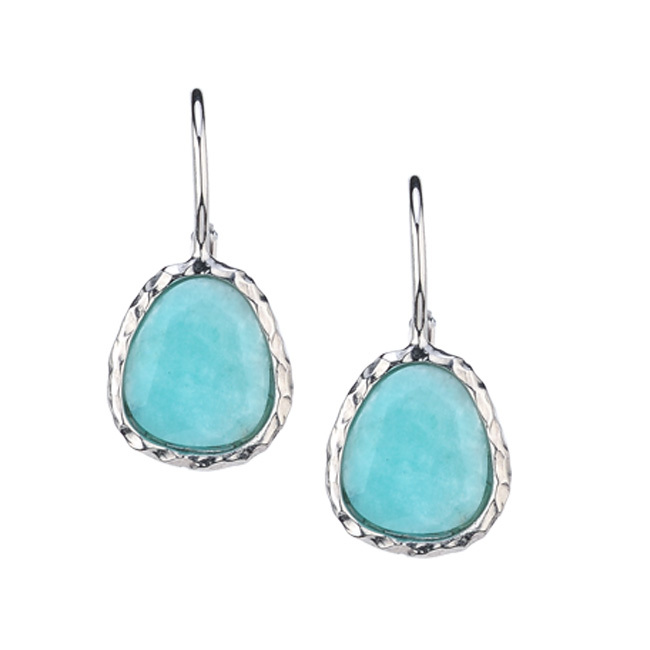 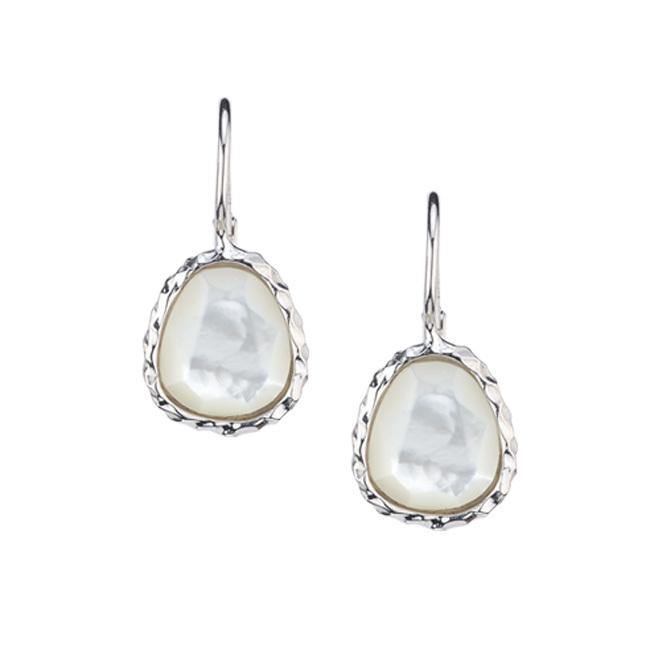 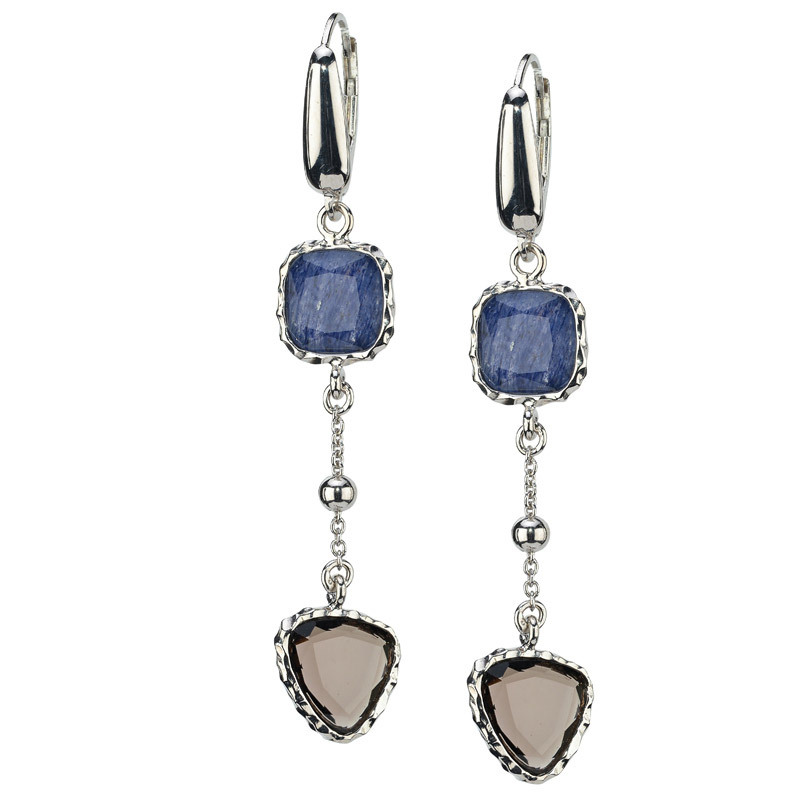 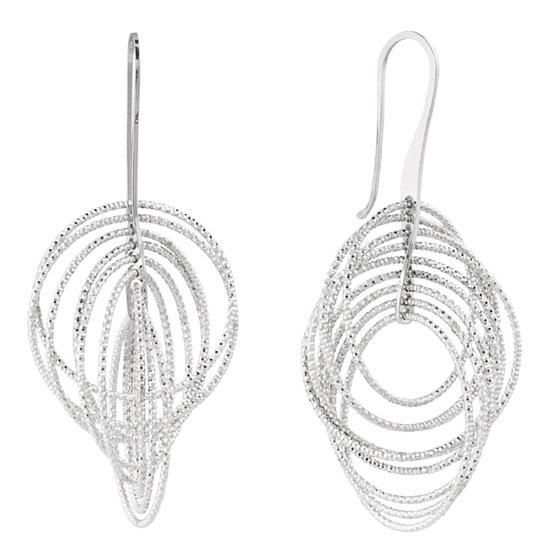 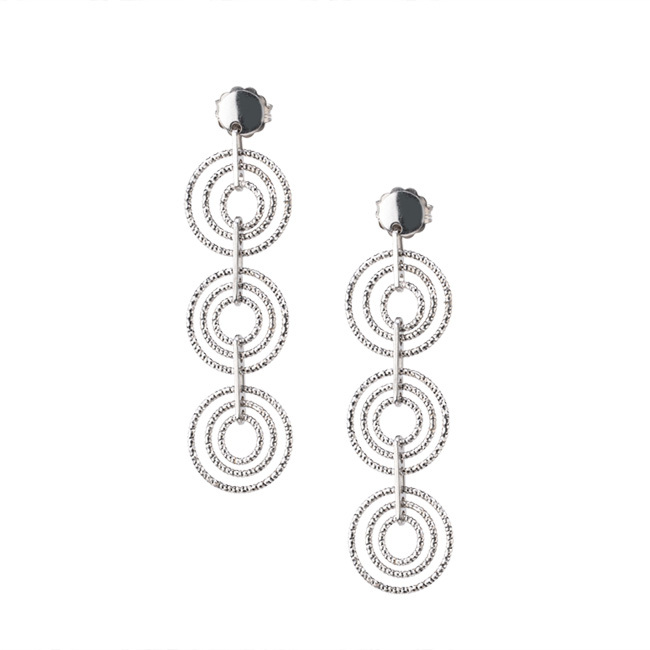 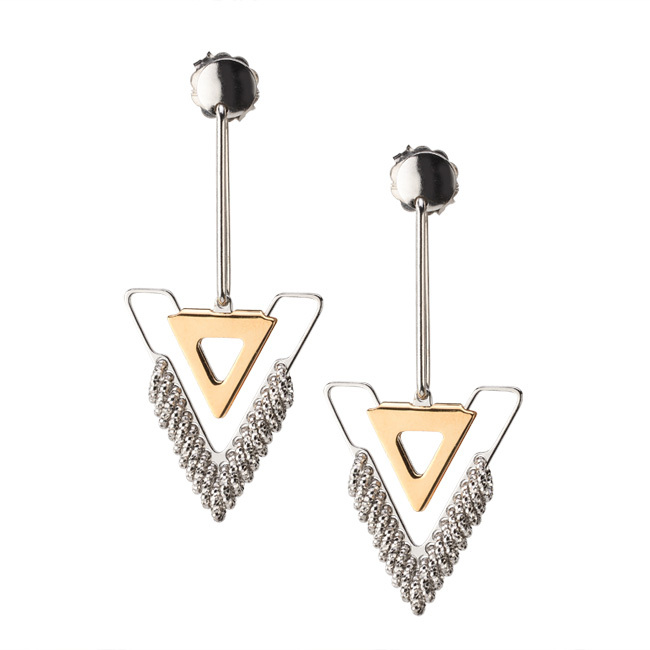 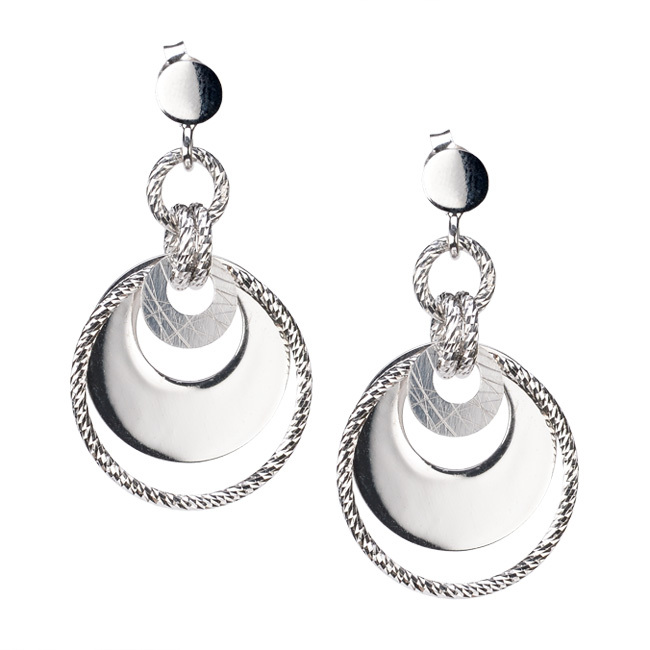 This style earring is from the latest Frederic Duclos collection. 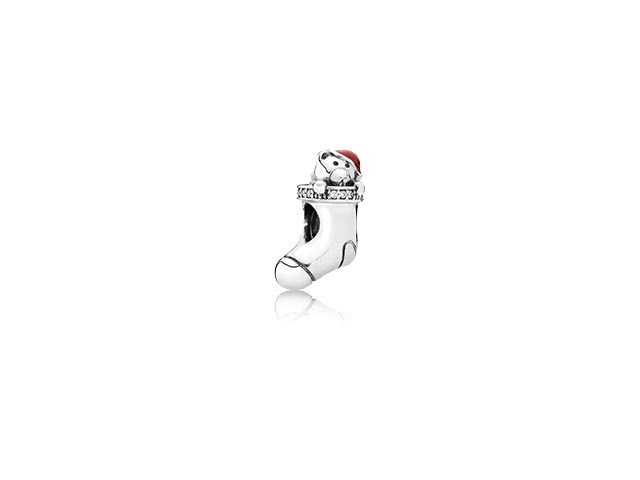 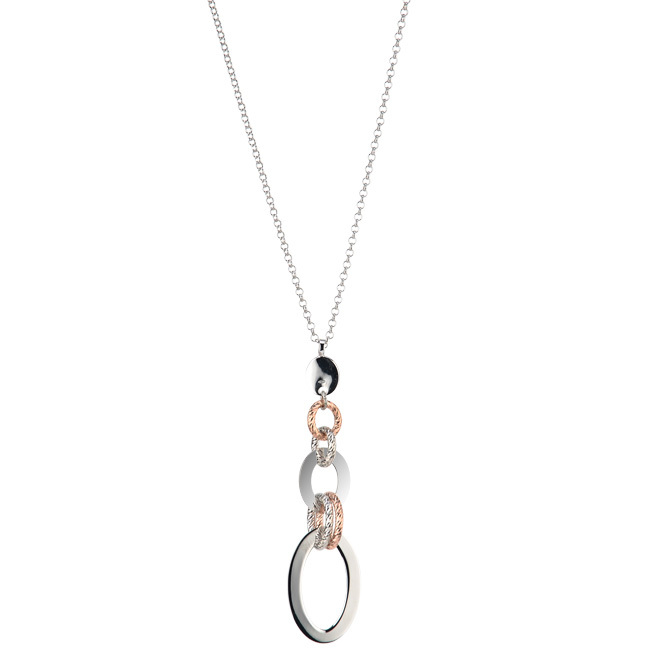 The Style e656 offers layers of beautifully designed silver for an unrivaled style! 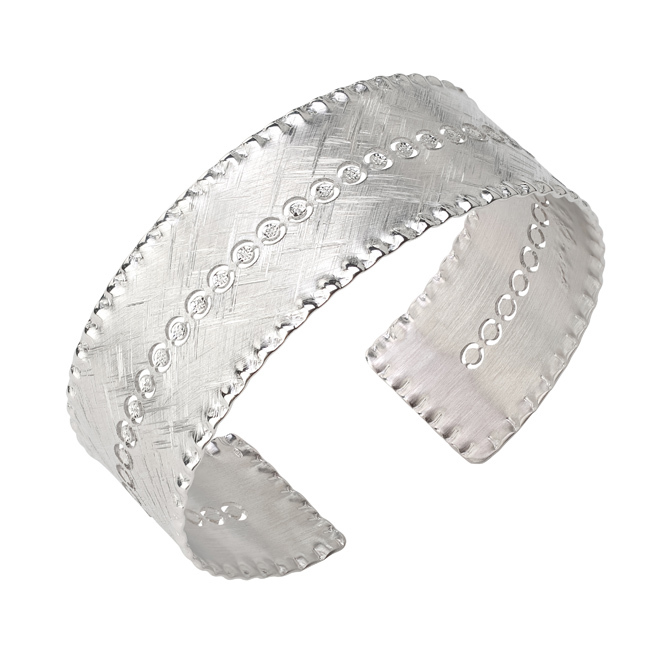 The Frederic Duclos BR601 silver bracelet is one that is sure to go with any outfit to complete your look! 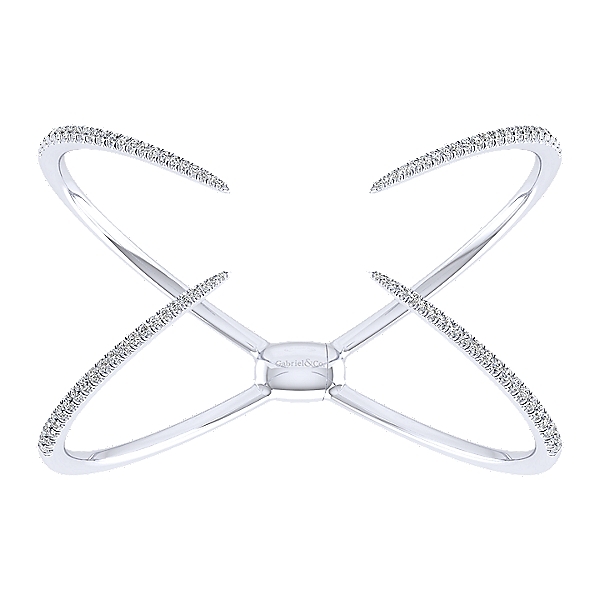 The Frederic Duclos bracelet style br189 is perfect for any 0ccasion and will make your wrist, and entire ensemble, pop effortlessly. 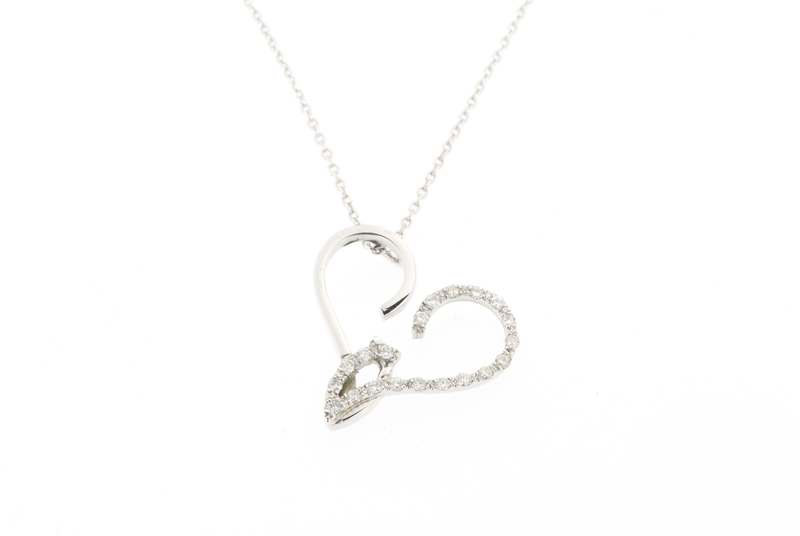 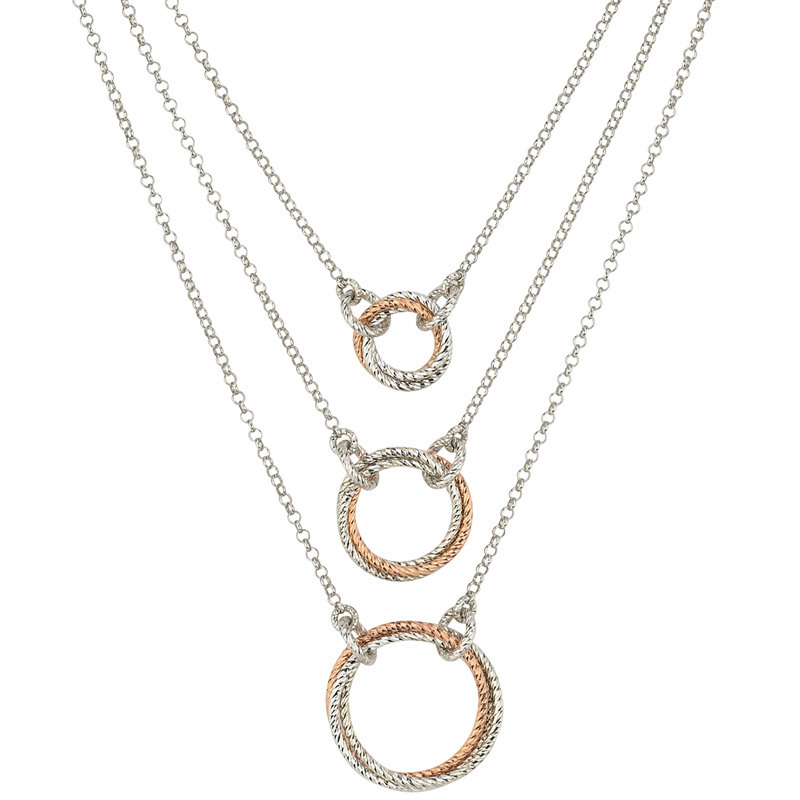 The Frederic Duclos Necklace, Style ne699, is a piece that will help compliment any outfit and style flawlessly! 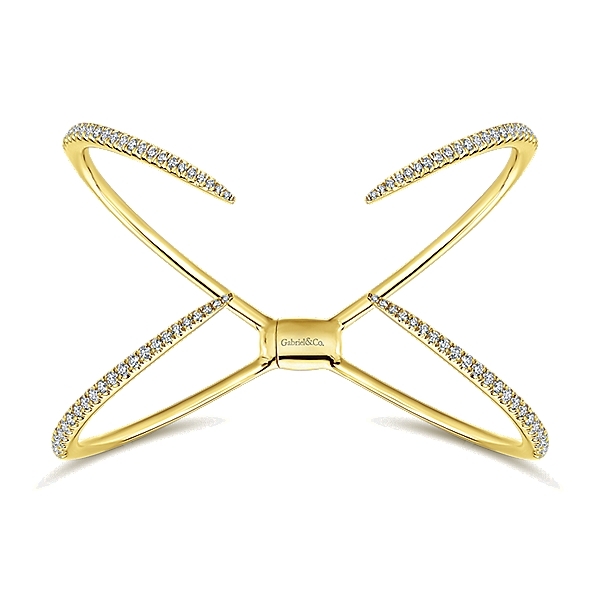 Be sure to get the matching bracelet for the perfect touch! 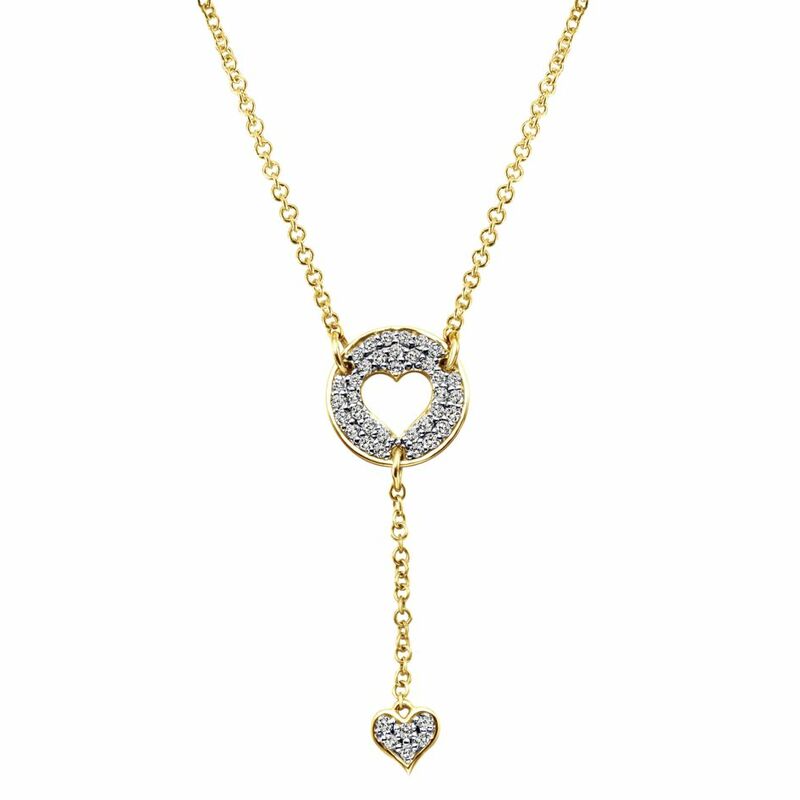 This necklace from world-renowned french jewelry designer, Frederic Duclos, offers a sterling silver chain and gold charms for the perfect “best of both worlds” look! 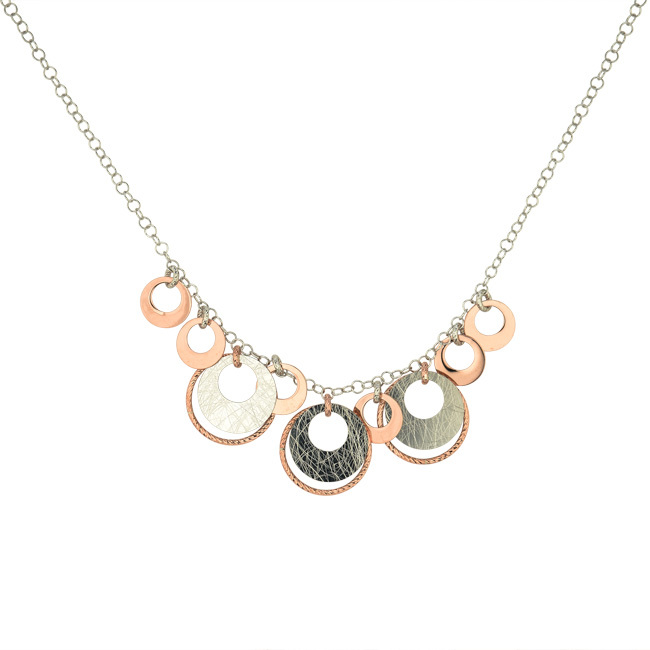 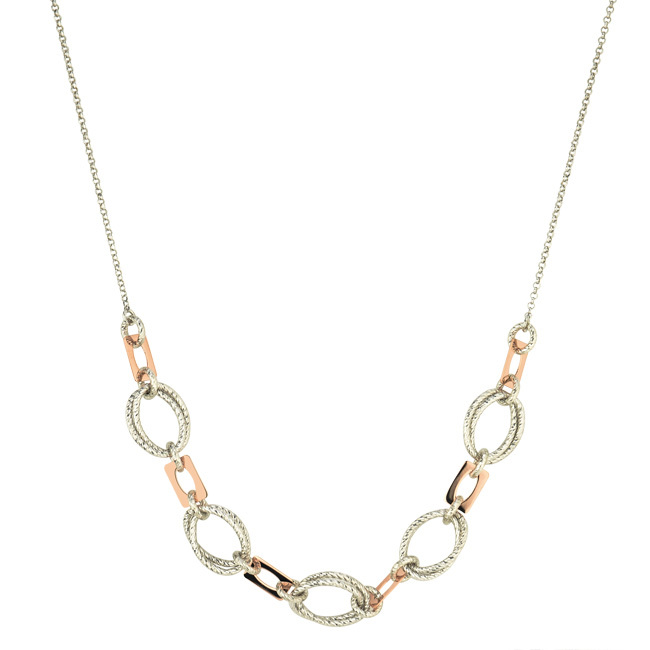 The ne826 sterling silver and rose gold plated necklace from French jewelry designer Frederic Duclos offers an unrivaled style with its 3 layered design! 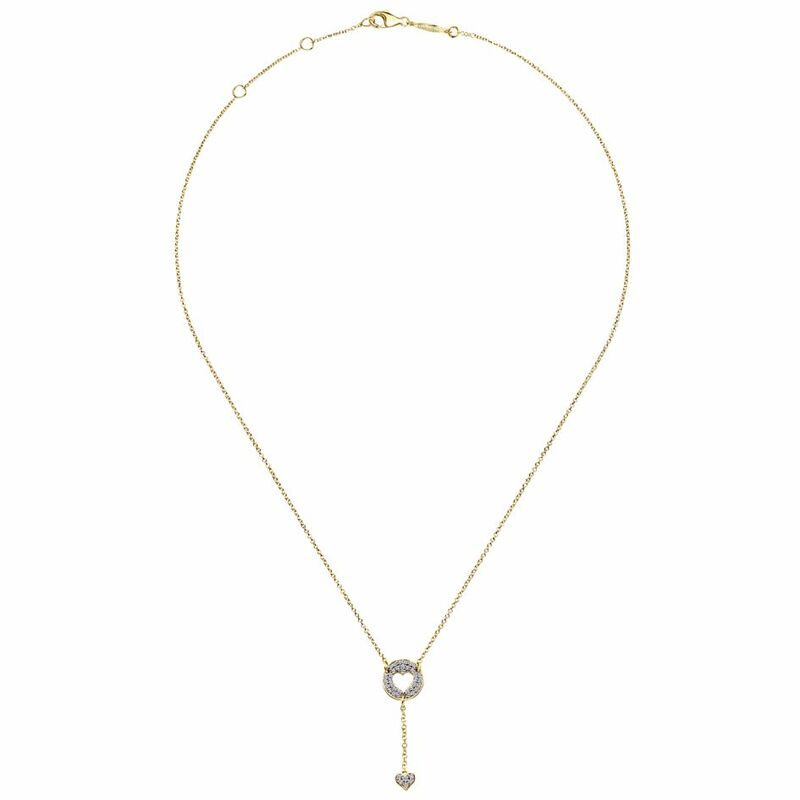 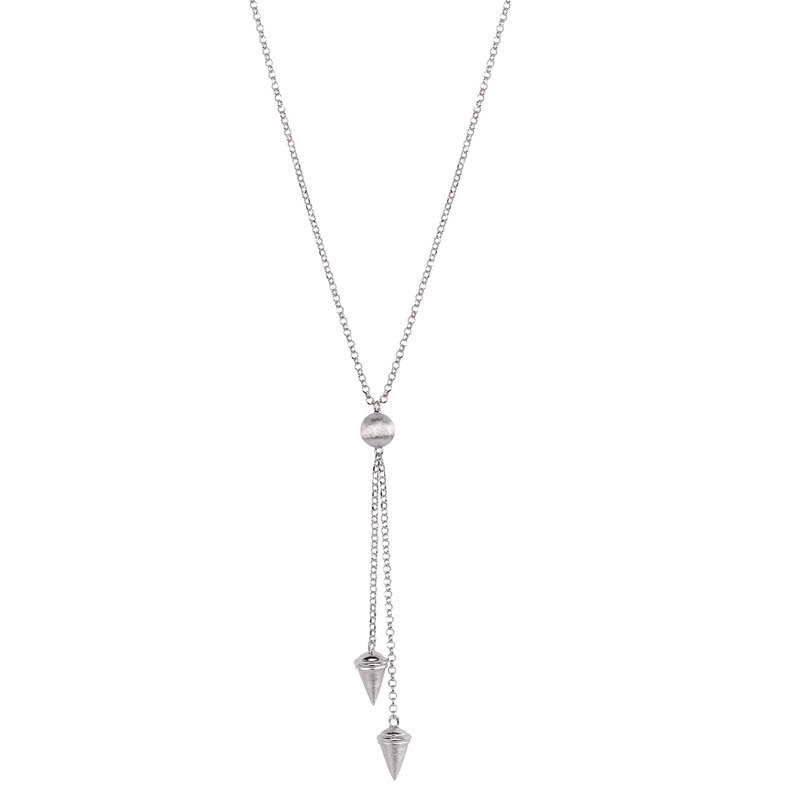 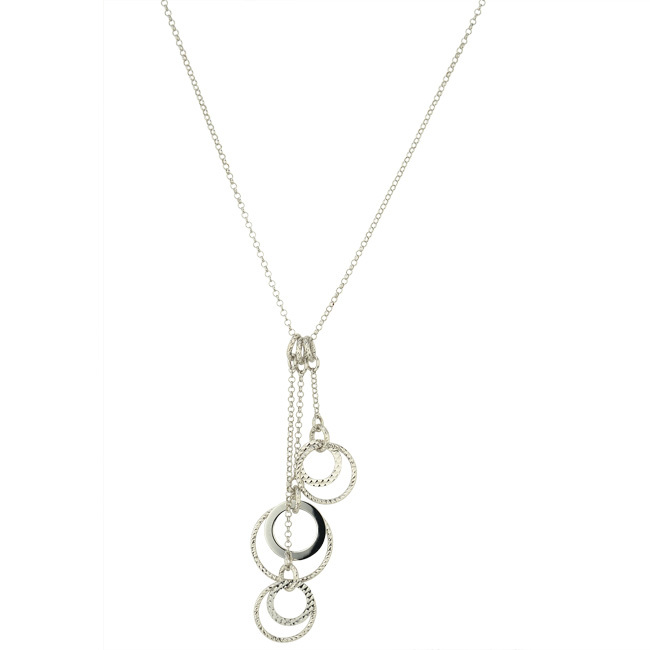 The ne832 necklace from Frederic Duclos offers a clean and classy style that will add a simple touch to any outfit regardless of the occasion!